The Legendary Monsterverse Movie Database section includes all Legendary Monsterverse films. Each is listed with year of release, to the right of the title is the rating of each film via IMDB. Each listing here on this page is a small piece of the full article, the link at the bottom of each post goes to the full article that is also here within the site (safe, no external links). Information in this section comes from Wikipedia, IMDB, and other sources. Godzilla is a 2014 American science fiction monster film directed by Gareth Edwards. It is a reboot of the Godzilla film franchise and retells the origins of Godzilla in contemporary times as a "terrifying force of nature". The film is set in the present day, fifteen years after the unearthing of two chrysalises in a mine in the Philippines. From the pods come two giant radiation-eating creatures, known as "MUTOs", which cause great damage in Japan, Hawaii and the western United States. Their awakening also stirs a much larger, destructive, ancient alpha predator known as "Godzilla", whose existence has been kept secret by the U.S. government since 1954. It stars Aaron Taylor-Johnson, Ken Watanabe, Elizabeth Olsen, Juliette Binoche, Sally Hawkins, David Strathairn, and Bryan Cranston. The screenplay is credited to Max Borenstein but includes contributions from David Callaham, David S. Goyer, Drew Pearce, and Frank Darabont. The film is a co-production between Legendary Pictures and Warner Bros. Pictures. It was distributed by Warner Bros. worldwide, except in Japan where it was distributed by Toho. It is the second Godzilla film to be fully filmed and produced by an American studio, the first being the 1998 film of the same name. The project initially began in 2004 and was originally intended to be an IMAX short film titled, Godzilla 3D: To the Max, to be directed by Yoshimitsu Banno, director of Godzilla vs. Hedorah. After several years in development, the production was transferred to Legendary for development as a feature film. Producers Kenji Okuhira, Brian Rogers and director Banno were retained by Legendary. Shortly before filming began, several producers were dismissed from the production and a court case is ongoing between themselves and Legendary. The movie was filmed in the United States and Canada in 2013. Godzilla was released worldwide in 2D, 3D and IMAX on May 15, 2014; in North America on May 16; with releases in China on June 13 and Japan on July 25, 2014. Kong: Skull Island is a 2017 American monster film directed by Jordan Vogt-Roberts and written by Dan Gilroy, Max Borenstein, and Derek Connolly from a story by John Gatins. 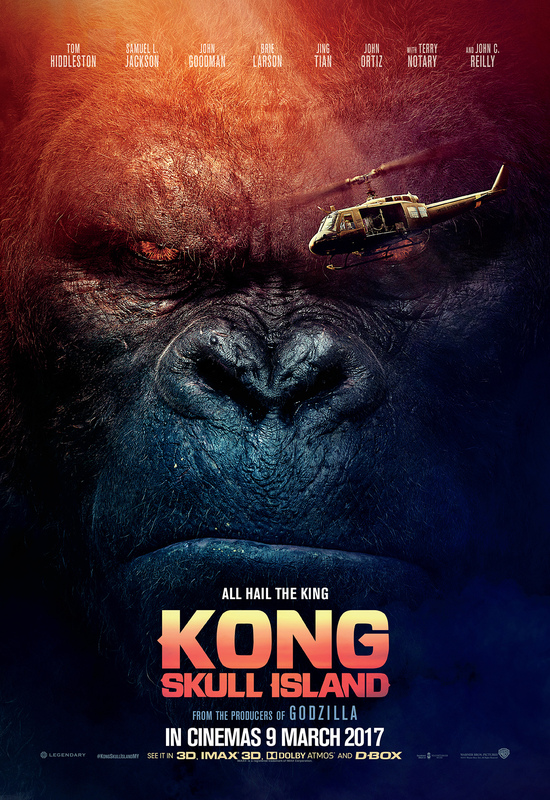 The film is a reboot of the King Kong franchise and serves as the second film in Legendary's MonsterVerse. The film stars an ensemble cast consisting of Tom Hiddleston, Samuel L. Jackson, John Goodman, Brie Larson, Jing Tian, Toby Kebbell, John Ortiz, Corey Hawkins, Jason Mitchell, Shea Whigham, Thomas Mann, Terry Notary, and John C. Reilly. The film follows a team of scientists and Vietnam War soldiers who travel to an uncharted island in the Pacific and encounter terrifying creatures and the mighty Kong. Principal photography took place from October 2015 to March 2016 in Hawaii and various locations around Vietnam. Kong: Skull Island premiered on February 28, 2017, in London and was released in the United States on March 10, 2017, in 2D, 3D, IMAX 3D and in Dolby Cinemas. The film was a critical and commercial success, grossing over $566 million worldwide against its $185 million budget. A crossover sequel, Godzilla vs. Kong, is set for release on May 22, 2020. In 1944, in the midst of World War II, two fighter pilots – American pilot Hank Marlow and Japanese pilot Gunpei Ikari – parachute onto an island in the South Pacific after a dogfight and engage in close combat, but the fight is interrupted by a behemoth ape that appears in Marlow's eye. Twenty-nine years later, in 1973, U.S. government agent Bill Randa hires former British Special Air Service Captain James Conrad, a skilled tracker, to guide an expedition to map out a recently discovered island known as Skull Island. Godzilla: King of the Monsters is an upcoming American monster film directed and co-written by Michael Dougherty. It is a sequel to Godzilla (2014) and will be the 35th film in the Godzilla franchise, the third film in Legendary's MonsterVerse, and the third Godzilla film to be completely produced by a Hollywood studio. The film stars Kyle Chandler, Vera Farmiga, Millie Bobby Brown, Bradley Whitford, Sally Hawkins, Charles Dance, Thomas Middleditch, O'Shea Jackson Jr., Ken Watanabe, and Zhang Ziyi. 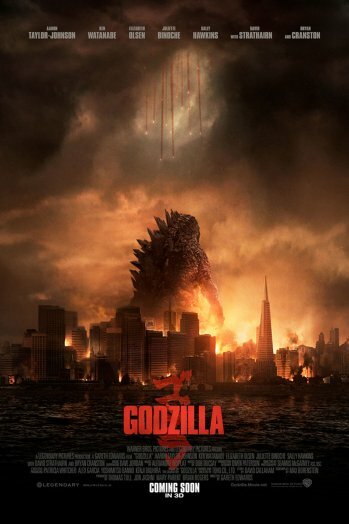 The sequel was green-lit during the opening weekend of Godzilla, with original director Gareth Edwards expected to return. After Edwards left the project in May 2016, Dougherty, who had been hired in October 2016 to write the script with Zach Shields, was announced as the director in January 2017. Principal photography began in June 2017 in Atlanta and ended in September 2017. 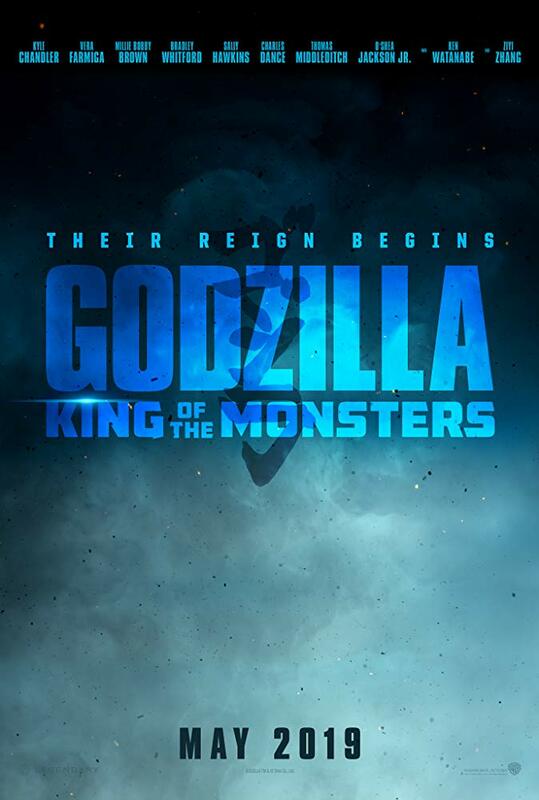 Godzilla: King of the Monsters is scheduled to be released in the United States on May 31, 2019, in 2D, 3D, Dolby Cinema and select IMAX theaters.